Guess : Who is this star actress in the snap? ఇంటర్వ్యూ : గౌతమ్ తిన్ననూరి – నాని గారి కాన్ఫిడెన్స్ చూసి భ‌య‌మేసింది ! కాంచన 3 కూడా జెర్సీ బాటలో… ! 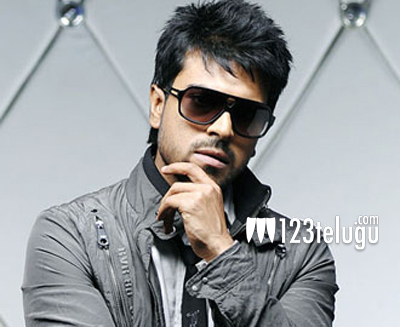 123telugu had already reported that Ram Charan is busy shooting for Srinu Vaitla’s flick currently. After a brief gap, a fresh schedule will kick start in Hyderabad. Some very key scenes in the film featuring the entire star cast will be shot during this schedule. Rakul Preet is the female lead in this film which has music by S S Thaman, D.V.V.Danayya produces this film which is touted to be a comedy caper.